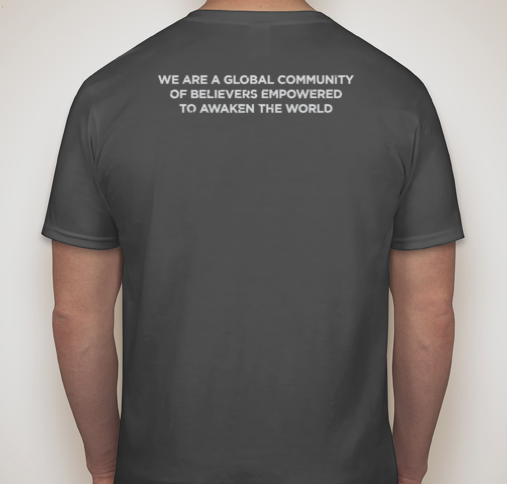 A great way to represent Global Awakening and all that we do is with this shirt showing Global’s mission statement. 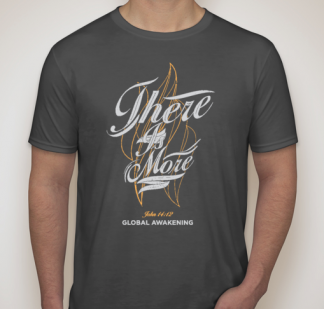 Dark heather gray t-shirts with the words “There Is More – John 14:12 – Global Awakening” on the front. Unisex shirts. 65% Polyester. 35% Cotton. Sizes range from XS to XL. Flame pattern in orange behind print. Please select from the drop-down menus.